The camping site that we called home for 2 or 3 weeks each year was built just outside of the town, along the Breede River – and the particular spot that I use to fish from looked almost exactly like the spot in this photo. Browse the Breede Adventures photo stream on Flickr. 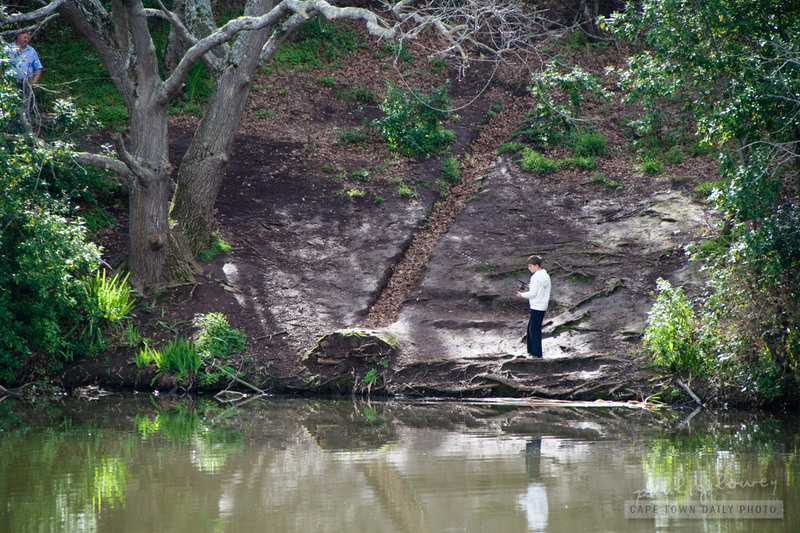 It looks to me as though some of the photos could have been taken at the Silver Strand park (map). Posted in Activities and tagged adventure, boating, fishing on Monday, 5 September, 2011 by Paul. In Sydney Kerry-Anne and I went on a similar trip to this one offered by Atlantic Adventures. 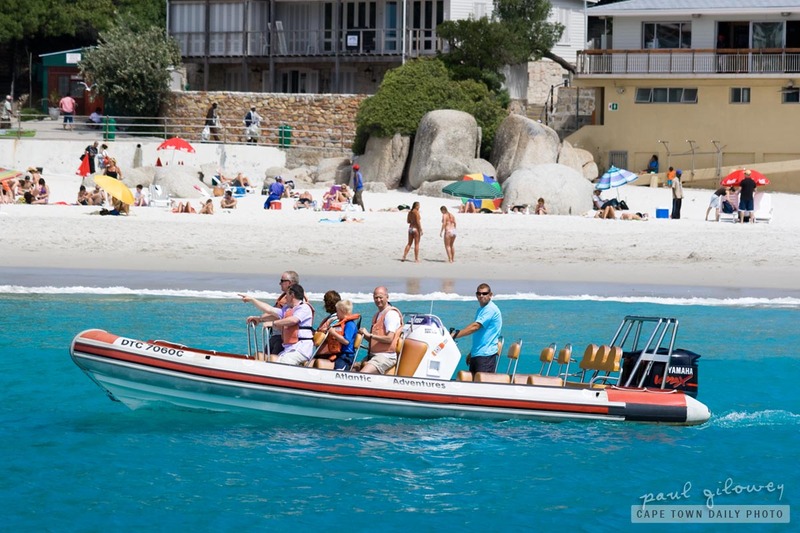 I can still remember slowly motoring back to the harbour listening to Down Under (by the Aussie band Men at Work) at top volume after the ride on the deathly fast and highly maneuverable jet boat. I'm not sure if this boat is quite as maneuverable the one in Sydney, but from the photos on their site, it sure looks like a hell of a lot of fun. I also noticed that they offer a combo trip that consists of a boat ride and helicopter flip! If you're into adrenaline-releasing experiences then I think this experience could be just for you. Posted in Activities and tagged adventure, beach, boat, sea on Monday, 6 December, 2010 by Paul. 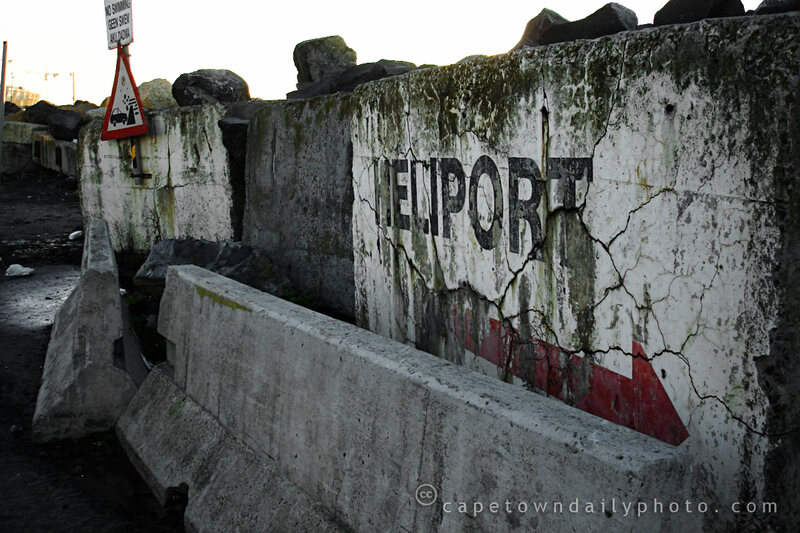 Mandy discovered this block of concrete demarcating the location of an old heliport close to the breakwater, just behind the V&A Waterfront parking area. The photo reminded me of an adventure helicopter trip offered by the Huey Club in one of their famous Huey HU-1 military choppers - which we often first hear (they have a distinctive sound), and then see flying over the city. You may remember these helicopters from movies like Full Metal Jacket or serials like M.A.S.H. Quite some time ago a friend told me of an adventure helicopter trip, called the "Combat Mission", that he went on in one of these choppers. What they do is take passengers on a trip that involves low-flying over the city, Waterfront and up the West Coast. Pilots put the choppers into steep climbs and hard banks... WITH THE DOORS OPEN, to simulate a real combat situation. Thankfully there's nobody shooting rockets or machine-guns at this joyride! The Huey Club lists the cost of the trip as R1500... but I haven't been able to find out how long the flight-time is. At that price, I can't believe that it's more than about 30 minutes, though. Posted in Activities and tagged adventure, v&a waterfront on Tuesday, 23 June, 2009 by Paul.